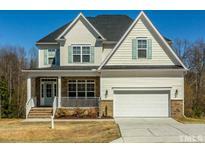 Below you can view all the homes for sale in the Summerlyn subdivision located in Clayton North Carolina. Listings in Summerlyn are updated daily from data we receive from the Raleigh multiple listing service. To learn more about any of these homes or to receive custom notifications when a new property is listed for sale in Summerlyn, give us a call at 919-759-5792. Come and enjoy the wonderful Cabana and fantastic pool! MLS#2244199. 2122. Clayton Dog Park and Recreation Center, mins away! MLS#2244203. 2122. Clayton Dog Park and Recreation Center, mins away! MLS#2236100. 2122. Come and enjoy the fantastic community swimming pool! MLS#2236076. 2122. Come and enjoy the fantastic community swimming pool! MLS#2236082. 2122. Don't miss the opportunity to see this home that features spacious kitchen w/granite counters,stainless steel appliances & island, seperate dining room w/coffered ceiling, breakfast nook, large living room w/fireplace & soaring ceilings, 3 additional bedrooms & loft on the second floor,screen porch and fenced yard. So much for your money! MLS#2233837. 1130. Fridge and W/D convey. Warranty Inc MLS#2231207. 1319.